1996 was a huge year for enclosed coasters around the world with seven new rides opening. Six Flags, then under the ownership of Warner Bros. premiered two enclosed coasters at two of their property. 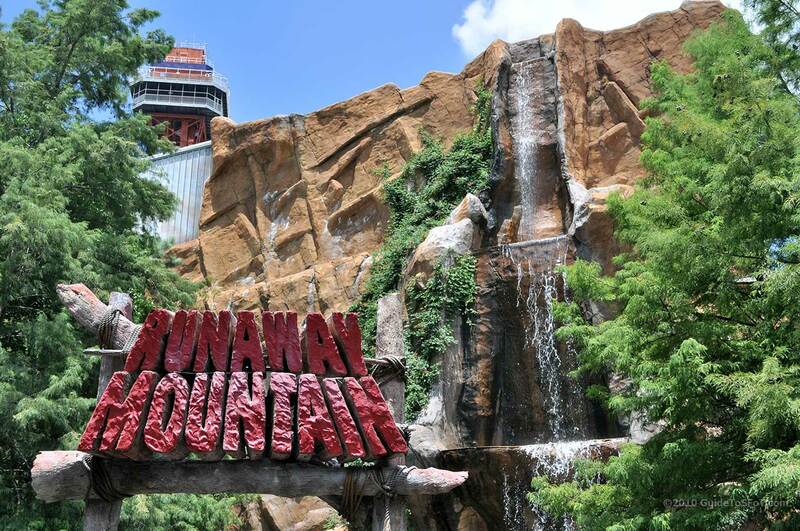 The first to open was “Runaway Mountain” at Six Flags Over Texas. The selected location was in the Old South/France section. The Schwarzkopf Enterprise “Spinnaker” stood in that spot before being shipped off to sister park Fiesta Texas (San Antonio, TX). A mirrored and improved “Windstorm” roller coaster was ordered and installed from Premier Rides for the ride hardware and a large soundstage constructed around it. 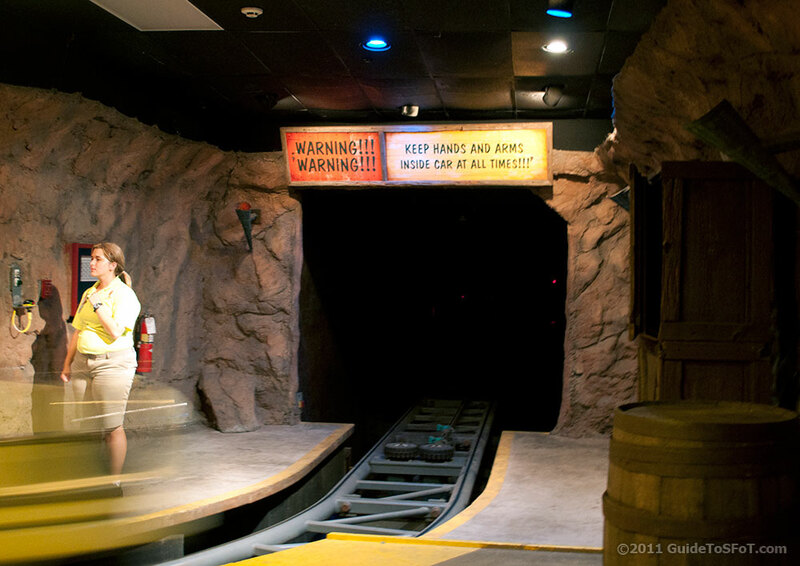 The ride’s name forced the park to rename the park’s mine train roller coaster from “Runaway Mine Train” to just “Mine Train” and clever and silly signs installed around that ride to reflect the change. 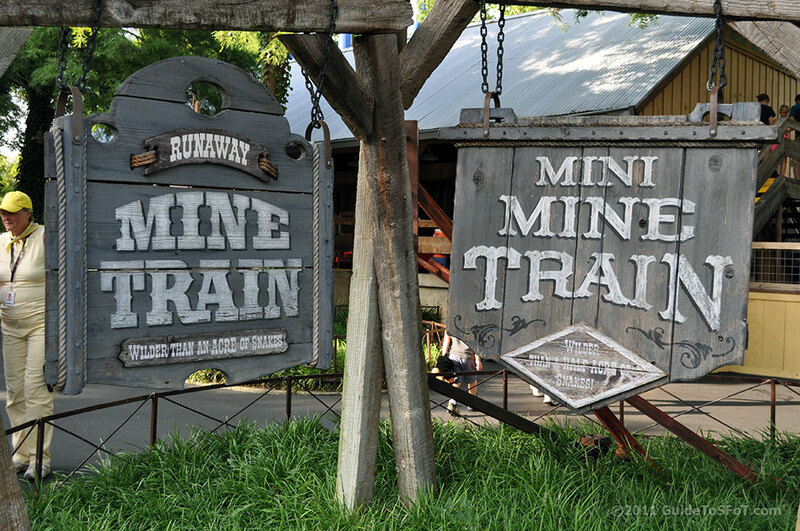 http://www.guidetosfot.com/ provided this picture of the humorous signs for Mine Train and Mini Mine Train. 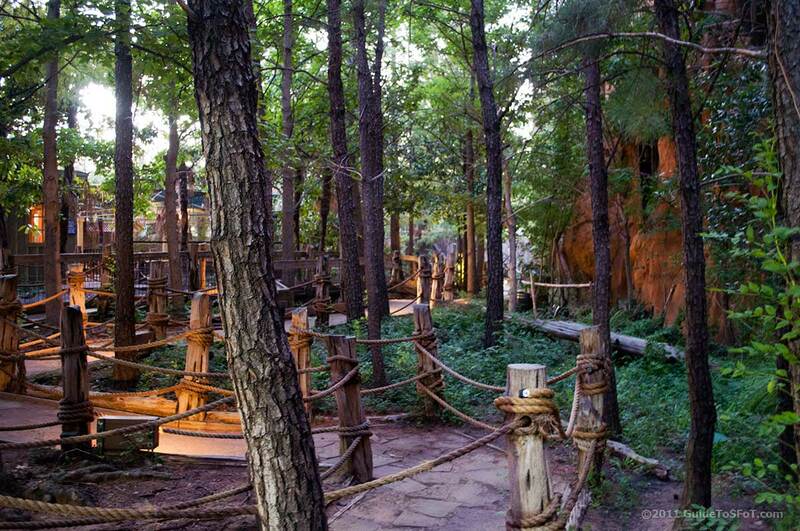 The whole area around the ride was renovated to fit in with the new ride, which appears to be a mountain that just came out of the swamp. The waiting line goes around the swamp before going inside the mysterious mine shafts. Along the way, “Gator Mcgee” appears to be the owner and gives riders boarding instruction. http://www.guidetosfot.com/ provided this great picture of the entrance sign and front of the mountain. http://www.guidetosfot.com/ provided this picture of the outdoor waiting line. It is beautiful landscaped and provide a great setting for the attraction. The mountain stands 65 feet tall with the roller coaster inside 51 feet tall. A 20 degrees tire driven lift take the 3 cars train up to the top where it proceeds to do various turns and drops reaching 35 mph. The train then rises to the ride signature element: a steep curving drop where the track banks to an 82 degrees angle and riders experience 3.6 G’s. Windstorm coasters are generally not very comfortable and have low capacity, but Premier Rides did a great job at improving Runaway Mountain and making it an appropriate ride for Six Flags. First, the loading stations were lengthened and allowed 3 trains operation. Then, the trains themselves track a lot better and feature a comfortable individual restraint. 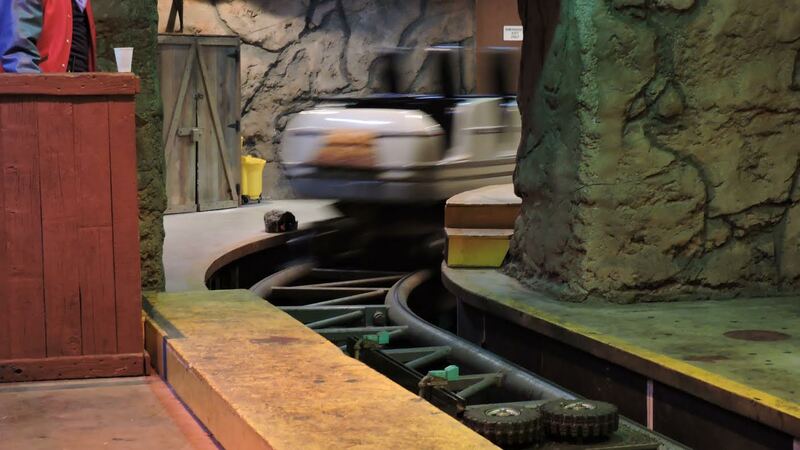 The noisy chain lift was replaced by silent tire drives which are important because the noise would resonate in the soundstage and be very uncomfortable for the ride operators. The tunnel leading to the gravity building. It is normally very dark and this is normal operation. http://www.ellocoaster.com/ attended the Lone Star Coasterthon, an American Coaster Enthusiasts event hosted by Six Flags Over Texas. For part of the exclusive ride session for attendees, the work lights were turned on and thus, you can see inside the gravity building. http://www.guidetosfot.com/ provided this picture of the loading station. As you can see, it is curved. 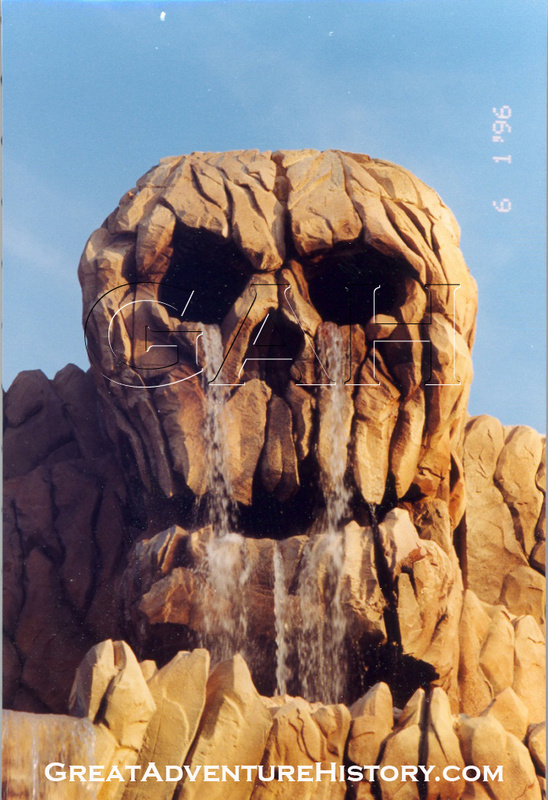 Skull Mountain opened on June 3rd 1996 at Six Flags Great Adventure (Jackson, NJ). The Rotor attraction was moved to a new location and the manmade hill built around it was levelled in preparation for the new attraction. Like in Texas, a 65 feet tall soundstage was constructed, but the ride’s theme and ride hardware were drastically different. 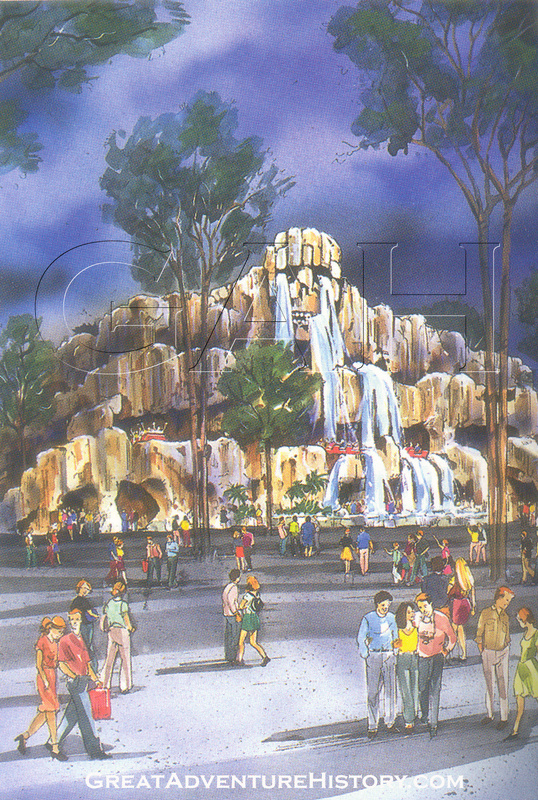 Whereas Premier Rides was selected for Texas, Intamin AG was chosen for the New Jersey mountain. A brand new ride system based on the Indoor Family Coaster seen at La Ronde and Las Vegas was designed where each car now has two rows of two riders and one lap bar per row to secure riders. Three trains originally ran on it and gave exceptional capacity with 28 riders per train. To save on construction costs, the transfer track is built outside the soundstage and a rolling garage door prevents light intrusion when trains are not being moved in and out. Original concept art for Skull Mountain. Picture appears courtesy of http://www.greatadventurehistory.com/. 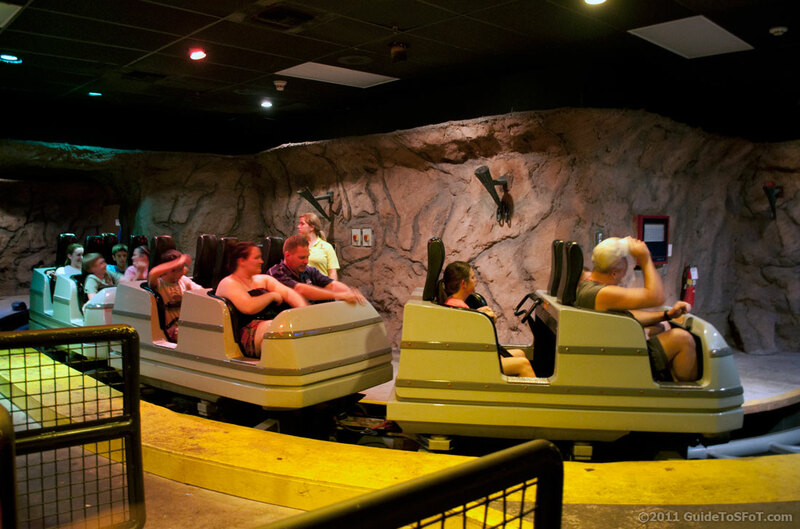 The ride’s name is well represented on the soundstage since the front and sides have sculpted rocks and a skull rock. Originally, waterfalls on the front portion were used but they were turned off after a few years. Smoke/Fog also came out of the skull’s eyes as well for a short time. The ride lift is split to save space inside the building and you can look outside on the flat portion between the lifts. Like the Dragon at La Ronde, no mechanical brakes are used and pair of pusher tires are used to slow down the stop the trains in the braking areas. 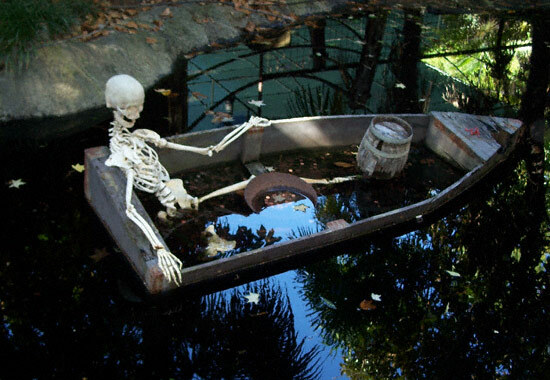 A later update to the attraction was during the park’s Fright Fest halloween event. 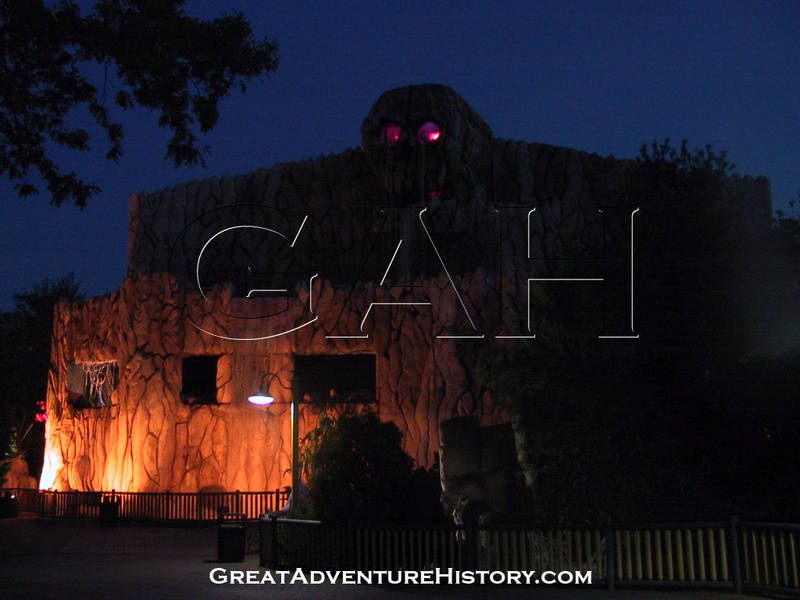 Lighted pumpkins, tiki masks and strobe lights were added to the inside, thus giving Skull Mountain a good show inside the previously dark segment. A pounding sound track also plays during the ride. 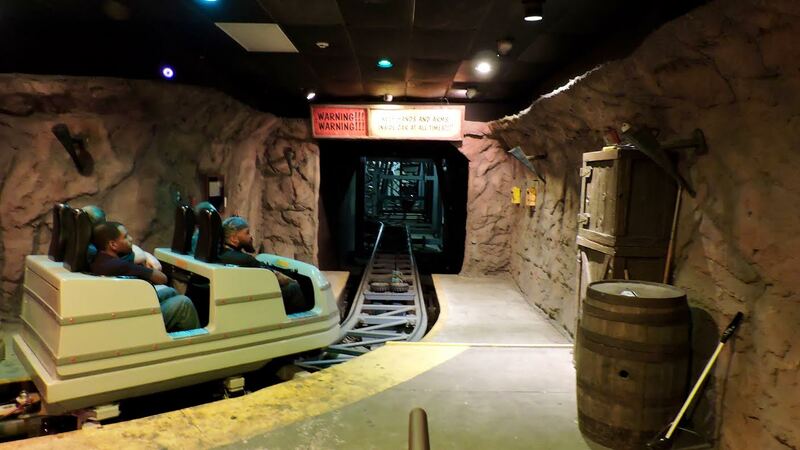 This entry was posted in Coasters and tagged enclosed coasters, Intamin AG, Lone Star Coasterthon, Premier Rides, runaway mountain, six flags great adventure, Six Flags over texas, skull mountain, Windstorm. Bookmark the permalink. ← A movie legend on the loose in New York City: Part 6 of our Fire! serie.